Over the past several weeks, we celebrated October as “pro-life” month. The complex subject of “Pro-Life” continues to be a thorny issue even within the context of our faith community. It cuts across religious, economic, social, political, medical, gender and ethical boundaries. 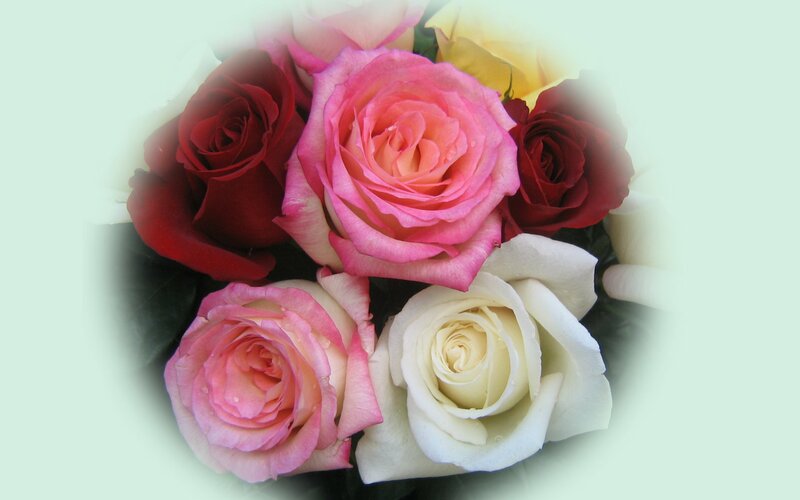 October 28, 2013: VARIEGATED ROSES for the poor, homeless or abandoned. Prayers for each of these groups can be found below. I was impressed and encouraged by the conversations I had with various parishioners on this topic. Some were quite contentious, some were highly supportive. Other people seemed unsure and are formulating their thoughts on these issues through prayer, research and personal discernment. As an aside, Fr. Wilde is an accomplished, celebrated and published pianist who has performed around the world. He has channeled this particular musical charism as a means to offer support for his Pro-Life ministry. Further information about his integration of his musical talent and Pro-Life ministry is available on the PriestForLife.org web page. Click on his picture under the “Priests For Life Pastoral Team” section. * 40DaysForLife.com – A focused pro-life campaign with a vision to access God’s power through prayer, fasting, and peaceful vigil to end abortion. * Rachel’s Vineyard Ministries – Weekend retreats for healing after abortion are offered throughout the year in locations across the United States, Canada and around the world. 15-week support groups modeled on the Rachel’s Vineyard weekend experience also available. (http://www.rachelsvineyard.org). Heavenly Father, we have been created in the image of you. Help us to see your image more clearly and strongly in all creatures of your love, and particularly in those which we describe as mentally challenged, though they are whole in your sight, and have a place and purpose in your divine plan for all mankind. Help us to enable them to fully participate in the abundant life which is your will for all human kind. We are grateful for the opportunity to share our lives with those possessing limited faculties of mind and body, obliviously in a love and joy within us which is beyond understanding. We know your creation, though entirely good, is as yet incomplete, and that we may share in your created work to the bettering of all the children of men.